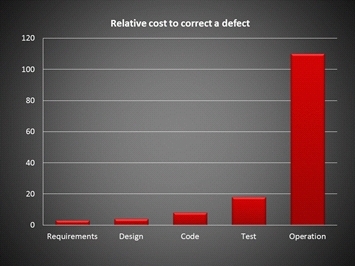 The chart indicates the cost of bug identification delays. The more time you spend on finding a bug, the more the fix is going to cost you. A delay in bug identification will necessitate more work hours and it will also contribute to a reduction in revenue. In the case of performance issues, one error can cost a company more than $1.5 million per year. The transition from performance testing to performance engineering is a feasible way to reduce the number of performance issues found after the release, thus saving both time and money. Performance engineering allows the team to avoid issues from the very beginning. At A1QA, we are sure that such an approach can make all of the difference in the world, especially to an entity that has a history of late issue identification (during the operation stage of app development, for example). Here’s what it takes to make the switch. Performance testing is done to understand how an application would behave under load. Its primary focus is on the user experience and on the effect that a bug could have on the overall user satisfaction. QA specialists will focus on specific test scripts and their successful running. The problem is that QA professionals take a partial look at a specific part of the system rather than at the product as a whole. This issue can be fixed by switching from performance testing to performance engineering. Performance engineering strays from the classic load testing approach. Usually, it’s already too late to carry out cost-effective fixes by the time a project reaches the QA stage. A lot of time, money, and effort have been invested in the development. Waiting until the last moment to identify a critical issue could also delay the product’s release on the market. All of these issues occur regularly through performance testing. When the switch to performance engineering is made, the team will examine the entire system and the manner in which it parts interact with each other. The large-scale perspective will allow developers to identify a bigger number of problems at the same time. Their root causes will be easier to identify and a solution will be carried out on a general level, eliminating multiple issues at the same time. Making the transition from a standard testing approach to a more comprehensive quality assurance strategy requires the completion of several important steps. The switch requires a change of professional mindset. Developers should get in the habit of thinking about performance the moment they begin the work process. The sooner performance engineering starts, the better the results are going to be. In a sense, you will have to define a culture of performance engineering. A leader should nurture the right professional environment and set the tone through setting up a team culture that highlights key practices, values, and beliefs. Elaborate on the non-functional performance requirements to make sure all aspects of the development and the app’s functioning are being covered. You will also need to define specific KPIs and project-relevant metrics that will give the team a chance to assess performance in the most adequate way. What is the app attempting to achieve? How will this goal be accomplished? Developers need the answers to these questions right from the start. In the absence of unified criteria, the team is going to run into chaos. When KPIs and expectations are determined to right from the start, the performance engineering process will run smoothly and in a focused manner. Are there enough FTEs allocated to achieve the goal? Do you have all the tools necessary? Resource planning is critical to success. The field of software development evolves rapidly. Finding the strength to adapt to the circumstances and new developments is critical to process optimization. Change plays a paramount importance in ensuring cost-efficiency and success. Such change will sometimes involve taking a step back in order to move forward in an optimal way. Occasionally, great ideas will also have to be ditched for the purpose of ensuring a superior user experience. As apps become more complex, developers have to understand the realities of creating a quality product from start to finish. Performance of engineering makes it easier for the development team to maintain agility and efficiency, identifying potential issues early in the process. Performance engineering involves thinking about performance from the start but there are also practices/techniques to master. Just like other software developments aspects, performance engineering is bound to evolve. New technologies are making the process simpler, more accurate, and more thoroughly integrated. Many vendors provide this tool, which allows programmers to mimic various bandwidths, latencies, and pack-loss values. This is critical for optimizing performance on high-latency servers. You can also remove variables from network profiles, which enables developers to fine-tune an app for high latencies. Machine learning has started affecting many aspects of professional operations, including software performance testing. Machine learning algorithms can reveal cause and effect patterns within the application. Processes are fed into a deep learning algorithm for analysis. Over time, the algorithm will begin identifying correlations between aspects of a current project and elements that have contributed to the failure in the past. Because of its ability to evolve rapidly, machine learning can be incorporated at every level of software development. As time passes by, such technology will become more readily available, and it will cater to the needs of various niches and industries. Software users today have more specific requirements and a lower tolerance for failure than ever before. Products are becoming more tailored, more complex, and more difficult to test. Due to the changing nature of software development, a switch from testing to performance engineering is inevitable.